Start off your visit on the 11th (Tue): explore the historical opulence of Schloss Hellbrunn, admire the striking features of Salzburg Cathedral (Dom), then steep yourself in history at Mozart Residence (Mozart Wohnhaus), and finally take in nature's colorful creations at Mirabell Palace. On your second day here, see the interesting displays at Red Bull Hangar-7, take in the awesome beauty at Untersberg, get engrossed in the history at Mozarts Geburtshaus, then take some stellar pictures from Salzburg Fortress (Festung Hohensalzburg), and finally get to know the fascinating history of Steingasse. To find reviews, where to stay, and tourist information, go to the Salzburg trip itinerary maker app . Atlanta, USA to Salzburg is an approximately 14-hour flight. You can also do a combination of flight and train. Due to the time zone difference, you'll lose 6 hours traveling from Atlanta to Salzburg. Prepare for a bit cooler weather when traveling from Atlanta in June: high temperatures in Salzburg hover around 73°F and lows are around 55°F. Finish your sightseeing early on the 13th (Thu) so you can drive to Venice. Do some cultural sightseeing at Doge's Palace and St. Mark's Square. Popular historic sites such as Basilica di San Marco and Campo del Ghetto are in your itinerary. There's lots more to do: contemplate the waterfront views at Canal Grande, appreciate the extensive heritage of Campo San Salvador, wander the streets of Campo San Toma, and explore the world behind art at Gallerie dell'Accademia. To find reviews, other places to visit, more things to do, and other tourist information, use the Venice trip itinerary planner. Traveling by car from Salzburg to Venice takes 4.5 hours. Alternatively, you can fly; or do a combination of train and flight. Prepare for a bit warmer weather when traveling from Salzburg in June: high temperatures in Venice hover around 81°F and lows are around 63°F. Finish up your sightseeing early on the 16th (Sun) so you can catch the train to Florence. Let the collections at Academy Of Florence Art Gallery and Basilica di Santa Croce capture your imagination. 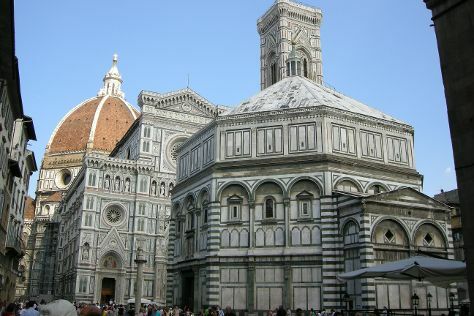 Cathedral of Santa Maria del Fiore and The Baptistery of St. John will appeal to history buffs. Step out of Florence with an excursion to Castello del Trebbio in Santa Brigida--about 42 minutes away. And it doesn't end there: admire the masterpieces at Uffizi Galleries, appreciate the history behind Monumento a Dante Alighieri, take in the views from Ponte Vecchio, and appreciate the extensive heritage of Piazza del Duomo. For other places to visit, maps, reviews, and more tourist information, use the Florence online driving holiday planner . You can take a train from Venice to Florence in 2.5 hours. Other options are to drive; or take a bus. June in Florence sees daily highs of 83°F and lows of 65°F at night. Cap off your sightseeing on the 19th (Wed) early enough to catch the train to Rome. Get a sense of the local culture at Palatine Hill and Colosseum. Visit Vatican Museums and Piazza Navona for their historical value. There's still lots to do: make a trip to St. Peter's Basilica, ponder the design of Trevi Fountain, pause for some serene contemplation at Santa Maria in Trastevere, and wander the streets of Trastevere. 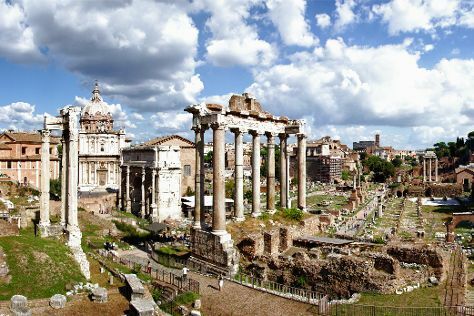 To find more things to do, photos, and other tourist information, you can read our Rome day trip planning site . Take a train from Florence to Rome in 2 hours. Alternatively, you can drive; or fly. In June in Rome, expect temperatures between 84°F during the day and 65°F at night. Wrap up your sightseeing on the 22nd (Sat) to allow time to travel to Cannes. Museum-lovers will get to explore Musée Marc Chagall and Palais Lascaris. 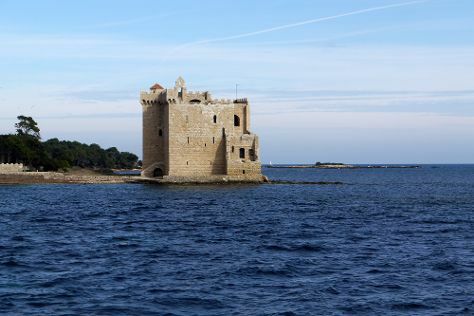 Get some historical perspective at Lérins Islands and Vieille Ville. When in Cannes, make a side trip to see Marineland in Antibes, approximately 36 minutes away. There's still lots to do: appreciate the extensive heritage of Le Suquet. To find maps, more things to do, other places to visit, and other tourist information, you can read our Cannes itinerary builder . Traveling by flight from Rome to Cannes takes 5 hours. Alternatively, you can drive; or do a combination of flight and train. Traveling from Rome in June, you will find days in Cannes are a bit cooler (78°F), and nights are about the same (61°F). Finish up your sightseeing early on the 25th (Tue) so you can go by car to Bormes-Les-Mimosas. Bormes-les-Mimosas is a commune in the Var department in the Provence-Alpes-Côte d'Azur region in southeastern France.It has a Mediterranean climate.Bormes-les-Mimosas is a city in bloom and won the 2003 Gold Medal awarded by the Entente Florale. Get outdoors at La plage and Plage de Jean Blanc. Chartreuse de la Verne and Eglise Saint-Trophyme. are good opportunities to explore the local culture. Get out of town with these interesting Bormes-Les-Mimosas side-trips: Confiserie Azureenne (in Collobrieres) and Plage d'Argent (in Porquerolles Island). And it doesn't end there: discover the deep blue sea with a scuba or snorkeling tour, get your game on at La grande roue du Lavandou, kick back and relax at Plage de la Faviere, and view the masterpieces at A L'en Verre. To find more things to do, ratings, other places to visit, and tourist information, use the Bormes-Les-Mimosas online driving holiday planner . Traveling by car from Cannes to Bormes-Les-Mimosas takes 1.5 hours. Alternatively, you can do a combination of train and taxi. In June, daily temperatures in Bormes-Les-Mimosas can reach 78°F, while at night they dip to 61°F. Finish up your sightseeing early on the 29th (Sat) so you can travel to Paris. Visiting Île de la Cité and Seine River will get you outdoors. Satisfy your inner culture vulture at Palace of Versailles and Louvre Museum. And it doesn't end there: admire the masterpieces at Musee d'Orsay, admire the striking features of Centre National d'Art et de Culture George Pompidou, pause for some serene contemplation at Basilique du Sacre-Coeur de Montmartre, and contemplate the long history of Sainte-Chapelle. For reviews, where to stay, ratings, and tourist information, go to the Paris trip planner. Traveling by combination of taxi and train from Bormes-Les-Mimosas to Paris takes 4.5 hours. Alternatively, you can do a combination of bus and flight; or drive. Plan for little chillier nights when traveling from Bormes-Les-Mimosas in June since evenings lows in Paris dip to 55°F. Wrap up your sightseeing by early afternoon on the 3rd (Wed) to allow enough time to travel back home.